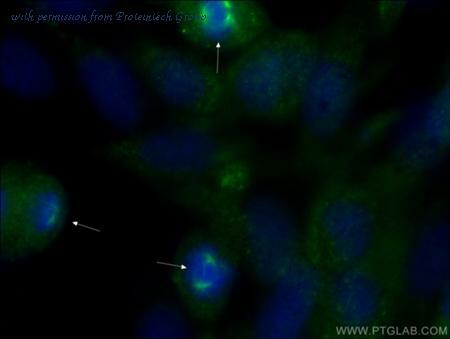 The Pericentrin antibody from Proteintech is a rabbit polyclonal antibody to a peptide of human Pericentrin. 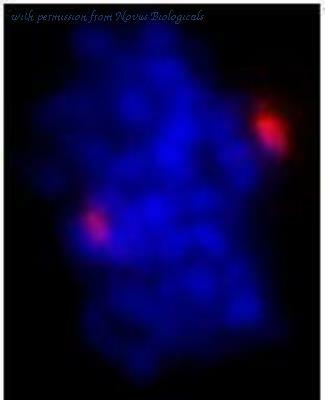 This antibody recognizes human,dog antigen. The Pericentrin antibody has been validated for the following applications: ELISA, IF analysis. 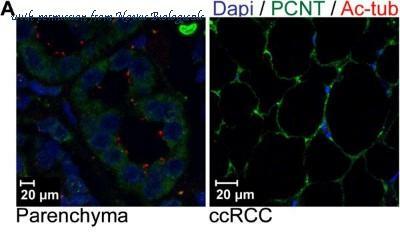 Immunocytochemistry/Immunofluorescence: Pericentrin Antibody [NB100-61071] - Acetone-fixed asynchronous HeLa cells. Affinity purified rabbit anti- Pericentrin/Kendrin used at a dilution of 1:100. 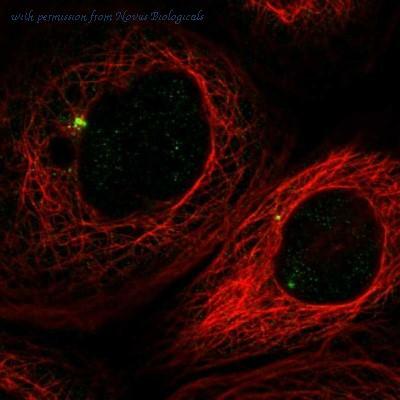 Immunocytochemistry/Immunofluorescence: Pericentrin Antibody [NB100-61071] - NBF-fixed asynchronous HeLa cells. Affinity purified rabbit anti-Pericentrin/Kendrin used at a dilution of 1:500. 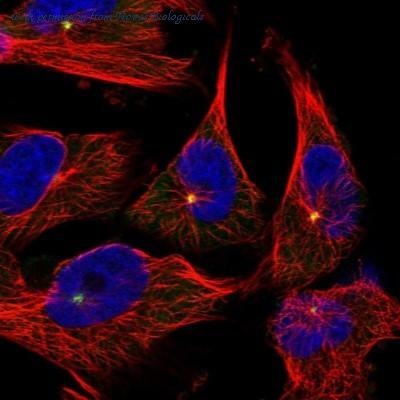 Immunocytochemistry/Immunofluorescence: Pericentrin Antibody [NBP1-87772] - Staining of human cell line A-431 shows localization to centrosome. Antibody staining is shown in green. 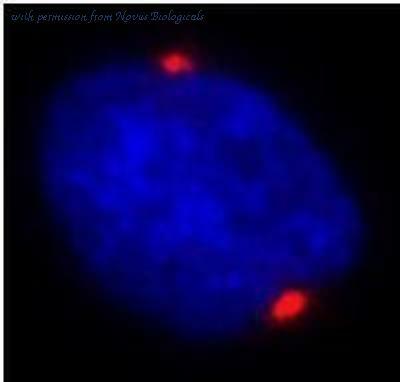 Immunocytochemistry/Immunofluorescence: Pericentrin Antibody [NBP1-87771] - Immunofluorescent staining of human cell line U-251 MG shows localization to centrosome. Antibody staining is shown in green. Western blot analysis of Pericentrin expression in HEK293T (A); NIH3T3 (B); H9C2 (C) whole cell lysates.